Affiliate marketing is one of the most popular and proven ways to make money online. In a nutshell, you send potential buyers to a merchant and if they end up buying, you earn a commission. 1. Join an affiliate program. There are many available, but the most popular is probably the Amazon Associates program. 2. Get people to click on your affiliate links. You can send your links to the subscribers on your email list, or display them on your website which is what we’ll talk about in this article. Once you’ve joined an affiliate program, you’ll be provided a unique link (URL) that tells the merchant the who to send commissions to when someone buys from that link. Affiliate links may be product-specific where the URL leads to a specific product, or general where a single URL applies for the entire site. Amazon Associates links are product specific. You obtain the link from the SiteStripe at the top of the product page. When potential buyers click on the link, they’ll be sent directly to the product page. SiteGround’s affiliate links are general. You can customize the link to point to a specific product, but link will lead to the homepage by default. Now that you’ve found your affiliate link, it’s time to place them on your website. There are a hundred ways to do this, but this article will focus on the most common methods. A plain text link is a simple link within the content of your website. For example, I would really like a Bose QuietComfort Noise Cancelling Wireless Headphones for my birthday. That was an affiliate link right there, and my birthday is in July btw. To add a plain text affiliate link to your content, use the Insert/Edit link button in the WordPress post editor. Paste the URL that you’ve copied into the link toolbar, then press Return or click Apply to set the link. Adding an image link is almost identical to adding a plain text link. Select the image in your post editor and then click the Insert/Edit link button in the toolbar. You can also make the image link to your affiliate URL when adding it from the Add Media pop-up. Before inserting the image, choose to link to a custom URL and paste in your affiliate link. Many don’t realize this, but you can actually list affiliate products in a WooCommerce store. Affiliate products behave like “regular” products, except that clicking the “Buy Now” button sends you to the affiliate URL instead of a product page on your store. To add an affiliate product to your WooCommerce store, add a new product as usual. In the Product data options box, change the product type to External/Affiliate product. The Product URL field will appear and you can paste in your affiliate link there. Google has a very strict stance on paid links. If it thinks your site is being paid to link to another site in an attempt to manipulate it’s search results, your site will get penalized. You should declare that your affiliate links be disregarded in Google’s search ranking algorithm. The way you do this is to add the ‘nofollow’ attribute to your link. Google knows about the popular affiliate programs like Amazon Associates, but it doesn’t hurt to be extra careful and follow this step anyway. You can do this with the free Ultimate Nofollow plugin. 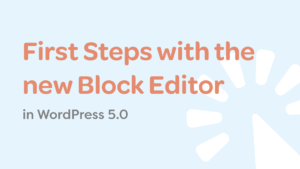 Once you install this plugin, the link toolbar will include a checkbox to include the ‘nofollow’ attribute to links you add to the content. Alternatively you can also manually edit the link in the Text mode of the post editor. Modify the link to include rel="nofollow" and you’re done. 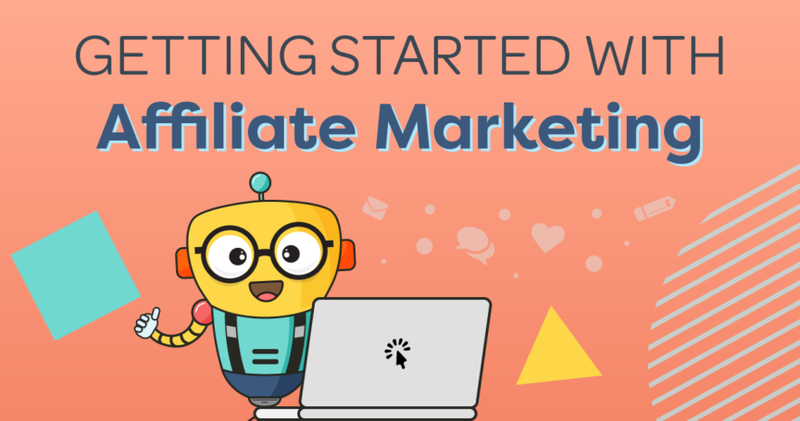 You’re All Set To Start Affiliate Marketing! Affiliate marketing can be a very lucrative way of making money from your website. To be a successful affiliate marketer, consider growing your website as a review or a resource website. Get to know your audience so they trust you and so that you know relevant products to promote. Learn up about search engine optimization to get your reviews ranking highly in the search results. FYI we have a plain-English guide on how to use the Yoast SEO plugin. I highly recommend the Affiliate Marketing The Smart Way course (yes, that’s an affiliate link!) if you want to grow as a marketer. It’s taught by Pat Flynn who has built a reputation for himself as a successful and honest affiliate marketer. The course is part of the Fizzle community, so start the free trial to get the course for free. And of course, there are lots of plugins available for WordPress to help you with your affiliate marketing. The most popular ones are Earnist, Pretty Links and Thirsty Affiliates (no affiliate links here 😉). I hope this article has given you a good introduction to affiliate marketing. All the best with it and enjoy the ride!